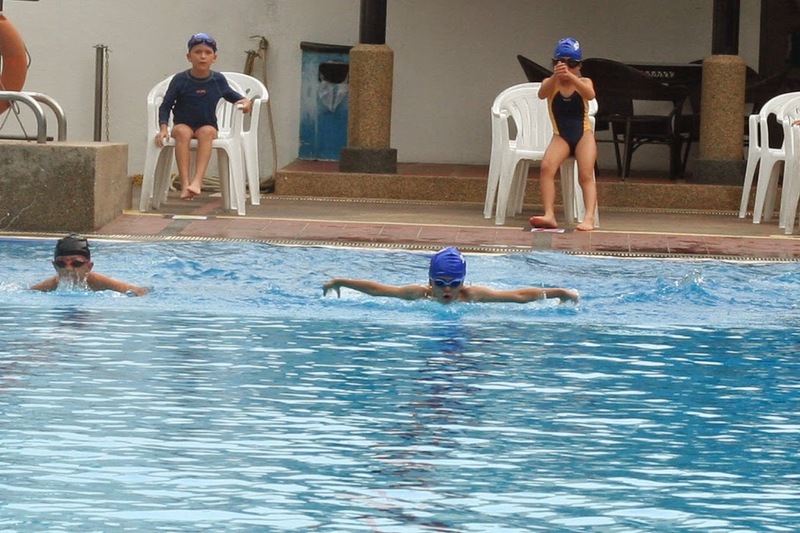 SCIPS swimming Gala. Arata won the butterfly and breast stroke in his session, and got 3rd for his free style. His coach Midori, ex-swimming representative for her prefecture, is very good at correcting kids' forms.